Plumbing problems don’t wait until regular business hours to strike, so why should you wait for the morning to get your property’s plumbing back up and running smoothly? Call JCS Plumbing with all your plumbing needs, we are a locally owned company and the favourite 24-hour plumbers in Perth. For over fifteen years we have built up our plumbing service reputation for efficient response, 24 hour service and quality workmanship for all your water and gas plumbing needs. Our small fleet of service vehicles are always ready to go, servicing anything from leaking taps to gas leaks and hot water systems. Started by Jim in 2003, JCS Plumbing continues to thrive and grow based on our focus on the best possible customer experience, timely service and plumbing expertise. Nothing leaves us more satisfied than ending a day with another pleased customer and a job well done. We pride ourselves on our ability to identify your issues quickly and accurately, solve or repair any faults, and get your home, office or commercial spaces back to working order as efficiently as possible. We undertake a range of services, including gas fitting, leak detection, blocked drains, emergency plumbing or hot water installation. If you have plumbing issues or are looking to upgrade your gas or water systems, call JCS Plumbing today. We can provide timely solutions for any commercial plumbing services you require. From commercial maintenance and installation of water systems, to supply, testing and upgrades to gas services, benefit from our experience in commercial fit outs and renovations across Perth. Our gas fitting specialists are fully trained, highly experienced and knowledgeable about your gas service. Call us to pinpoint the cause of any issues and let us provide you with a quick solution and repairs that will last. Sometimes we find that people forget why regular plumbing maintenance can save you thousands of dollars with avoided emergency repairs. Very few plumbing emergencies arise from a single day’s actions, but rather are the symptom of smaller issues that have grown into big problems over time. With regular maintenance JCS Plumbing can identify little issues early, make minor repairs and ensure drains remain clear, allowing you to relax with the peace of mind of a homeowner without potential plumbing issues. If something goes awfully wrong in the night, our experienced team are ready to respond to your call 24-hours a day. We specialise in emergency plumbing services, and quick, easy residential installations of gas or water fixtures. Let us help out with all your domestic plumbing needs. JCS Plumbing has been providing 24-hour plumbing services across Perth metropolitan area for over fifteen years. We are a family owned company based in North Fremantle and pride ourselves in our focus on timely quality service, and ensuring the best possible workmanship and customer experience. Call us today for an obligation-free quote and let Perth’s favourite plumbers find out how we can meet your needs. We offer no-obligation plumbing quotes on all major installations and renovations. We guarantee quality plumbing workmanship on all jobs performed. Can not thank JCS plumbing enough!! Late Saturday afternoon with freezing cold water and no hot, call to JCS plumbing and Jim was at our house within 30 minutes. Problem fixed within 15 minutes and the service was outstanding. 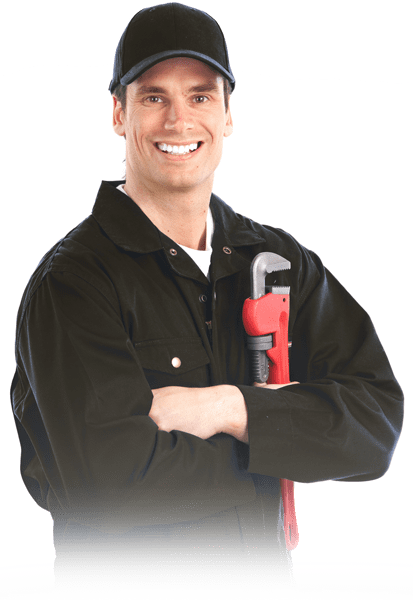 If you need plumber in Fremantle – Call him! Thank you again! We used JCS Plumbing when we renovated our bathrooms. James was easy to contact and communicate with, reliable and helpful. The plumbing work was efficiently completed in the specified time frame with no fuss. Couldn’t ask for more and we recommend them highly. Jim replaced our hot water system recently, our old one had completely failed. He came that day, arrived on time, did a great job and at a great price – what more could you want from a tradie?